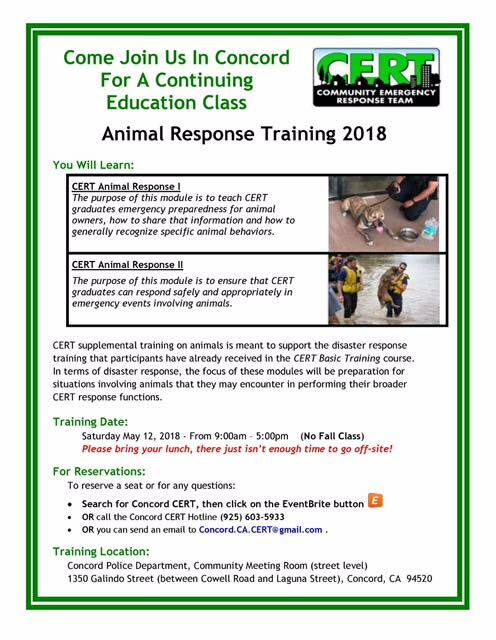 Concord CERT is offering continuing education for animal response, open to those who have already received CERT Basic Training. 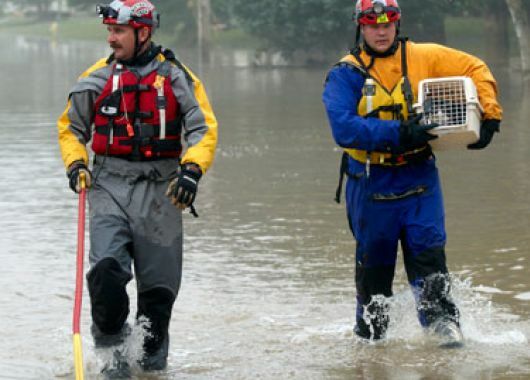 This one-day supplemental class will focus on CERT Animal Response I and II modules, helping to prepare for situations involving animals that responders may encounter in performing their broader CERT-response functions. This will be the only such class Concord CERT will offer in 2018. To reserve a seat or for information, visit Concord CERT's Eventbright page, call Concord CERT's hotline at 925-603-5933, or send an email to Concord.CA.CERT@gmail.com.